The Rotary Sensor Kit is used to detect the angle / speed of system which correspondence to the rotary motion of the shaft of the sensor. 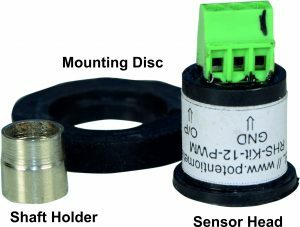 RSSK-12 is a complete disassembled kit for easy mounting and accurate mounting of sensor. For modern microcontrollers RSSK-12 is capable to give output in 0 to 3.3Vdc,SPI, I2C, Quadrature, Incremental and to suppress the effect of Noise PWM output version is also available. Incremental output with max. 1024 ppr in one revolution. 14 bit resolution SPI interface. Reverse polarity protected. 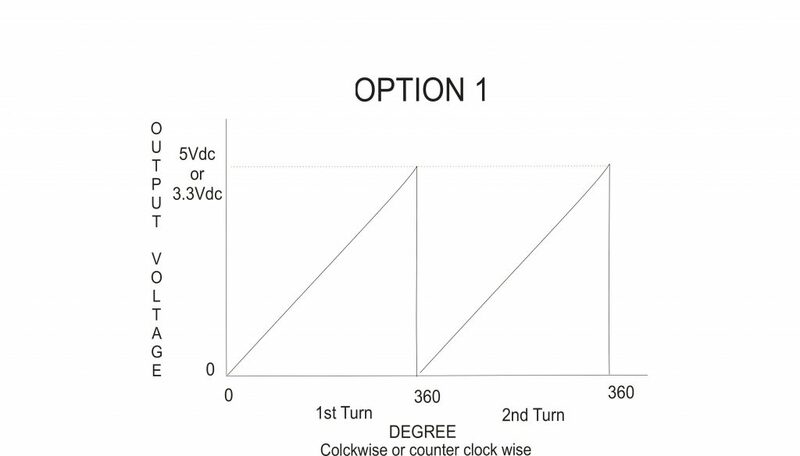 ( For 5Vdc and PWM output versions). If two RSSK12 units are to be installed closer than 2 inch (measured between the center of both shafts), a magnetic shield, such as a small steel plate should be installed in between to prevent one encoder from causing small changes in reported position through magnetic field cross -talk . RSSK-12 is a Rotary sensor Kit comprises of mainly Three parts and the same can be mounted in three steps. 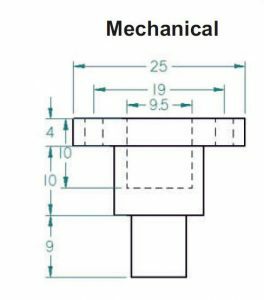 Step 1: Mounting of Shaft Holder : Push Fit the shaft holder on the shaft with maximum height of 5mm with (6.3 + 0.02mm) Shaft Diameter with a maximum radial play allowed of 0.2mm. Lesser the radial play higher the accuracy. Customization of the shaft holder is possible. Step 2 : Mounting of Sensor Head : On the shaft holder keep the Sensor head such that the shaft holder goes inside the sensor head. Step 3: Mounting of Disc : On the Sensor head insert the Mounting disc such that the step on the mounting disc faces towards the mounting plate and fasten the screw at a PCD of 19mm. Note you can rotate the sensor head prior to fixing the screw by energizing the encoder to desired position. The RSSK12-XI2C is a Absolute encoder which acts as a slave and communicate with master micro controller as per the standard Protocol of I2C. It is also known as Two Wire Communication. RSSK12-XI2C communicate in 8 Bit of Transmission. RSSK12-XI2C has a provision of Dual Output first I2C communication and PWM mode of communication 14 Bit and 12 Bit of Resolution respectively. 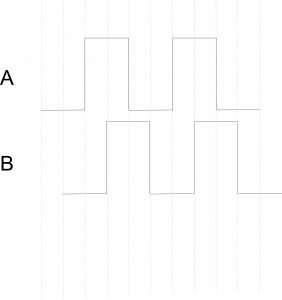 As per standard Protocol each slave (RSSK12-XI2C) has a Slave address of 7 bit which is being made of two Address Pin 1 and 2 while the remaining 4 bits are always 0 and MSB being 1. Address pin 1 and 2 are Least significant bit of Address. Hence we can use maximum of 4 such sensors in a Daisy chain mode of communication with slave address as 1000001 / 1000000 / 1000011 / 1000010. RSSK12-XI2C communicates the angle information in two cycles. By sending the register address 254 and 255. To have the complete angle information we need to eliminate two most significant bit (6 and 7) of the data byte we receive after sending register address 255. The RSSK12-XSPI is a Absolute encoder which acts as a slave and communicate with master micro controller as per the standard Protocol of SPI. As per standard protocol of SPI RSSK12-XSPI communicate with master protocol when the MOSI pin is active high or 3FFF hex data is sent on the bus and the CS pin need to toggle from low to high for only one clock pulse. RSSK12-XSPI communicate in 16 Bit of Transmission. After each cycle of communication it is compulsory to toggle CS pin from high to low. RSSK12-XSPI has a provision of Dual Output first SPI communication and PWM mode of communication 14 Bit and 12 Bit of Resolution respectively. 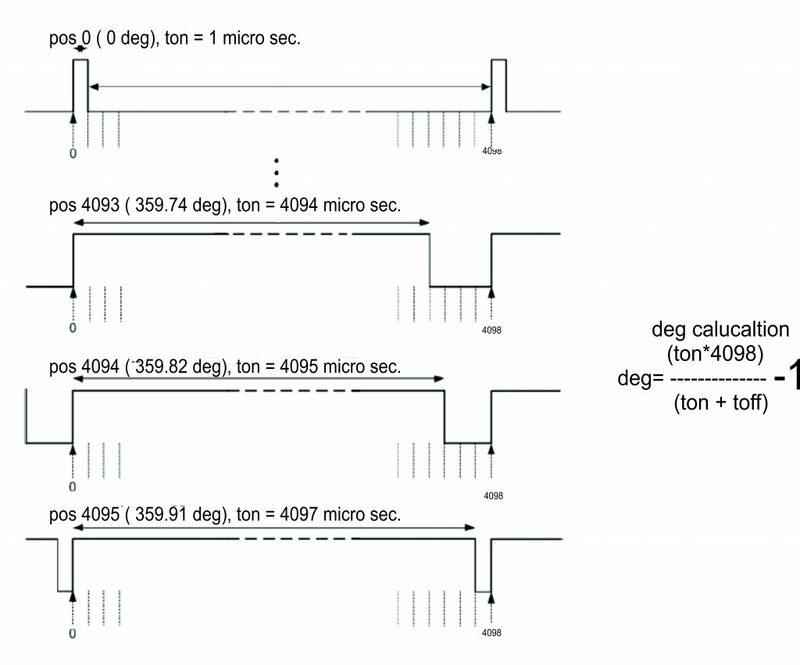 Number of sensors can be connected in daisy chain mode of 4 wire or (n+3 wire connection). please contact Mr. Pavan Kinariwala (pavankinariwala@gmail.com) for more information on the same.